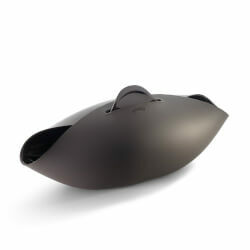 GET THE BEST SLEEP YET: This device has advanced sleep tracking and breakthrough sleep optimization capabilities. 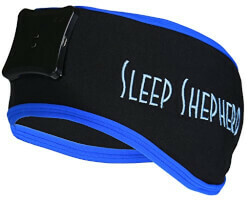 The Sleep Shepherd Blue monitors your brainwave activity and plays customized binaural tones that are scientifically proven to help entrain brainwaves to a desired frequency. The tones adjust automatically based on data obtained from sensors in real time.. ADVANCED TRACKER: Monitor brainwaves with integrated EEG Sensors. It tracks using state-of-the-art brainwave sensors in combination with motion detection and sleep position recognition.. BIOFEEDBACK SLEEP AID: Monitors brainwaves using integrated EEG sensors and uses precise binaural tones to encourage sleep.. SMART ALARM: Gradually lifts you out of sleep with binaural beats. Subtly introduces alarm tones to wake you up without being startled.. COMPANION APP: The Sleep Shepherd app gives you detailed statistics, daily trends, sleep summary, brain activity, and head orientation across various measurements and metrics..